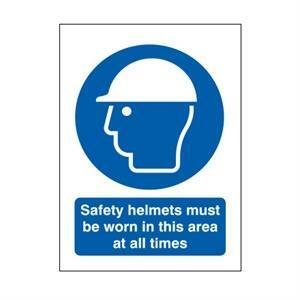 Safety helmets must be worn in this area at all times. Manufactured in 1.2mm rigid polypropylene or self-adhesive vinyl. 210mm x 148mm.